The Global Head Office for ANZ required an Air Tight access floor system with smoke and zone baffling. Due to the design of the mechanical units, the specification required each zone to be tested to comply with a controlled air leakage rate of 0.7277l/s.m² without floor coverings. 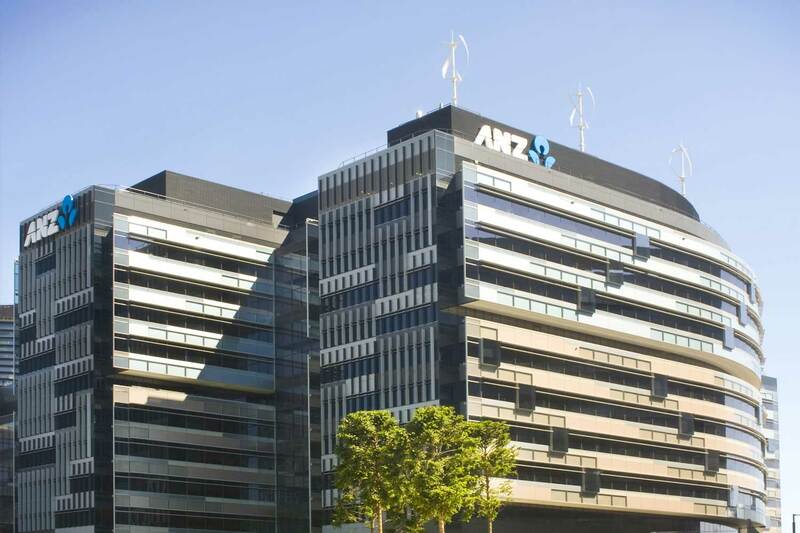 One of the world’s greenest bank buildings. A 14-storey, low-rise ground scraper featuring a dynamic central atrium space and fully-connected floor plan. The large floor plate, of up to and over 10,000m², would have proved to be a challenge in terms of expansion and creep if it was not for our specially designed and patented pedestal head and panel. The panel has a special expansion cut out, and the pedestal head is fitted with an expansion gasket designed to keep the panels separated by 0.3mm at all times. This eliminates the panels clicking or rubbing up against each other during expansion. The use of bridging stringers for services ensured penetrations in the ductwork were kept to a minimum. ASP staff coordinated with other services to ensure penetrations were correctly located and properly sealed. Steel Cementitious Air Tight System with a 4.5kN loading.